Once a test area on the southwest edge of the Salton Sea, the base is now abandoned, with all or most of the buildings torn down. 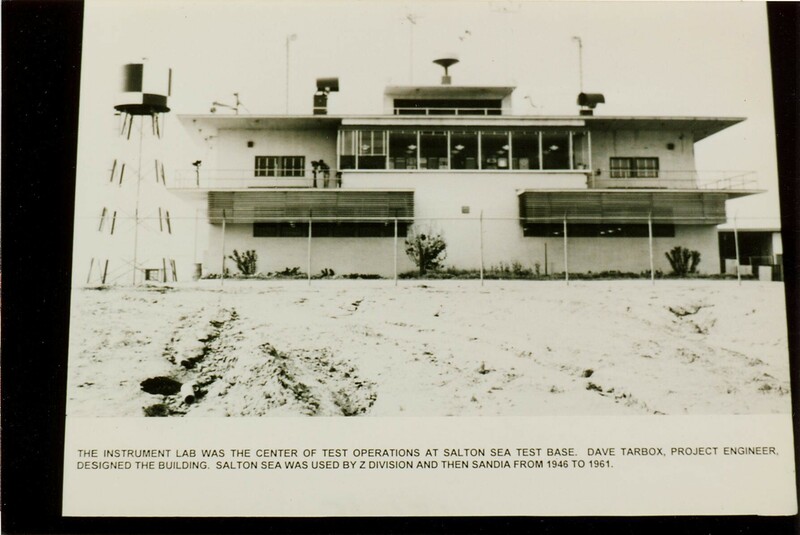 When the U.S. Navy initially commissioned the base in 1942, it lay claim to only the northern end of the Salton Sea, but within a few years the base had expanded to include a portion of the southern end as well. 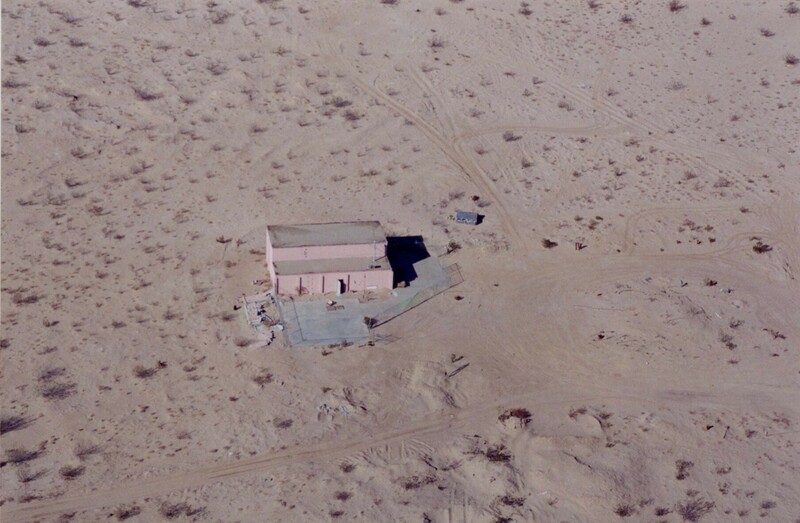 In the 1950's the area was used by Sandia National Labs, based in Albuquerque, New Mexico, as a range for missile testing (Sandia relocated their test ranges to the Coyote Field in Albuquerque, and to the Tonopah Test Range in Nevada). Over 1,100 missile tests were performed here. 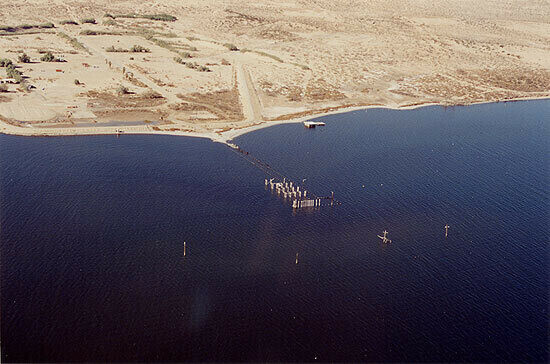 The Navy shared it with Sandia, and continued to use it through the 1970's, though there have been reports of military activities at the site as recently as the Gulf War. The site has undergone remediation, including the clean-up of assorted toxic substances, and has been returned to the BLM.